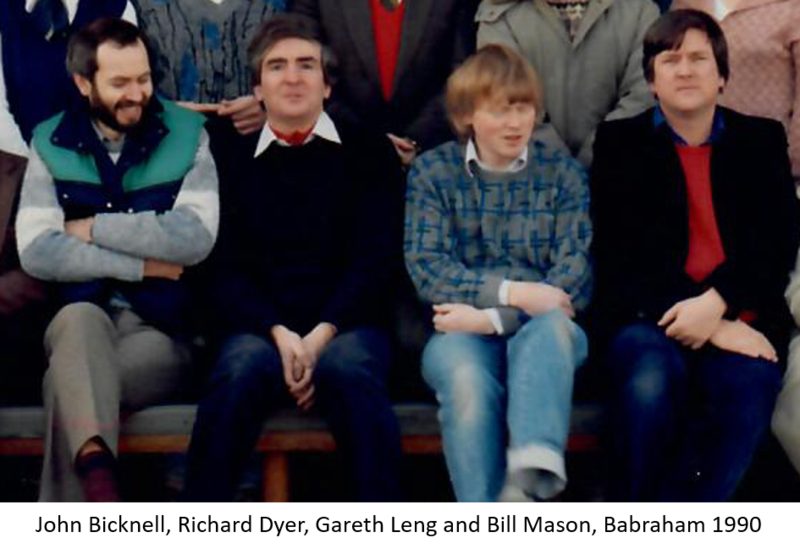 In 1984, I was working at what is now the Babraham Institute as a project leader in a Research Group on Neuroendocrinology headed by Barry Cross – the Director of the Institute - alongside John Bicknell, Richard Dyer and Bill Mason. The Institute was then in transition from its former guise as an Agricultural Research Institute to becoming a fundamental Biological Research Institute, and we, being at the sharp end of the arrow, had to look outward for collaborators and interactions. At that time there were frequent meetings of major Societies, but we were frustrated at how patchy the representation of Neuroendocrinology was; the community was dispersed and fragmented, and at any given meeting the presence of others was sparse and unpredictable. We thought that it would be a good idea to try to build a national community, initially by co-ordinating the participation of neuroendocrinologists at particular meetings. We tried informally to do this first within the Physiological Society, which then held several meetings every year. We focussed on particular meetings to attend and encouraged others to attend and present at the same meetings. This was quite successful. Instead of finding ourselves presenting talks to a room full of physiologists waiting for the next talk or too embarrassed to leave after the previous talk, we began to see rooms full of neuroendocrinologists – and such was the level of debate and argument that these sessions started to attract non-neuroendocrinologists too, just to enjoy the bloodsport. But this depended on word of mouth, and other communities who weren’t part of the Physiological Society were left out. So we conceived the idea of a “British Neuroendocrine Group” that would levy a small subscription, and seek to work with existing Societies to develop neuroendocrinology, but which would also organise an annual meeting – possibly in conjunction with another Society. (The first proposed name was the ‘British Experimental Neuroendocrinology Group’ until somebody drew attention to the rhyme). To take this forward would need the engagement of a small set of enthusiastic individuals that were representative of different subject areas and different regions in the UK to act as a “Steering Group.” I wrote to Joe Herbert, Stafford Lightman, John Morris, George Fink, Jim Edwardson, Brian Pickering, Iain Robinson and Phil Lowry, all of whom responded enthusiastically, and together we formed the original Steering Group. We assembled a large address list of UK neuroendocrinologists, and wrote to these to them to see if they would support this venture. About 200 responses came back quickly and were overwhelmingly supportive; there were just three who were concerned that we were undermining the Physiological Society, both of whom swiftly came on board once it was clear how widespread was the support. Brian Pickering undertook to chair the Steering Group, I undertook to act as secretary and treasurer and started to collect subscriptions, and John Morris set to organising the inaugural meeting in Oxford, which took place in July, 1985. I think that we all met together as a steering group just once, in a pub in London; my only clear memory of it was that someone pointed out that we had no money and no guarantee that anyone would go to the first meeting. We accordingly undertook to underwrite any losses that might accrue to the level of £100 each – in those days not a trivial sum – but it wasn’t called on. At this time we reached out to other Societies. I wrote to the Physiological Society explaining that we would like to function as an interest group within the Society to formally co-ordinate the participation of neuroendocrinologists in Society meetings. The response was an uncompromising “cold shoulder” – the Committee were adamantly opposed to any fractionation of Physiology. It was another year before that Society accepted the inevitable, and then Mary Forsling joined the Committee of the BNG as the Chair of the Physiological Society Special Interest Group in Neuroendocrinology. The Society for Endocrinology (SfE) were more welcoming – they immediately invited us to join the BES as a constituent Society, which we swiftly accepted. My memories of the first BNG meeting in Oxford was that it was happy and outstandingly successful, We had hoped and planned for about 120 participants. In the event, there were 170 registrants and 20-30 more had to be turned away for lack of space; 57 posters were presented. It set the pattern for future meetings – we would be multidisciplinary, collegiate and mutually supportive, and aim particularly to foster the careers of young researchers. The meeting closed with a lively first AGM, at which Bill Mason in a flush of enthusiasm, suggested that the BNG should launch its own journal. Bill and I had talked about this– he and I and others were at that time unhappy with Neuroendocrinology, then, the only specialised journal in the field and one with an overwhelmingly North American editorial board at that time. However, I was taken aback when Bill raised this in Oxford – it seemed a bit premature, and indeed, it met with a sceptical reception. Joe Herbert poured cold water on the idea in astringent terms, and he was clearly speaking for many. Afterwards Bill was downcast and suggested that he might just go ahead anyway without the BNG. I persuaded him to wait a year, and reluctantly he agreed. The next year, we held our second meeting (jointly with the Society for the Study of Fertility at Sutton Bonington). This time at the AGM, Joe Herbert spoke eloquently to propose that the BNG should launch its own journal. Bill turned to me with raised eyebrows and a more than usually pink face, but fortunately he kept quiet, as support echoed from all quarters. I set about fulfilling one key prerequisite – we had to formally establish the BNG as a properly constituted entity. I cut a deal with the solicitors with whom I had just bought a house, explaining that we didn’t actually have much money in the bank. Fortunately my solicitor was good natured, and took the task on for what we had, and we duly got our first Deed of Trust, our Rules, and we became a registered Charity. Meanwhile we pottered along with the peanuts left in the bank – peanuts that I blew at a BNG meeting when the wine for dinner ran out early, as a modest investment in goodwill. Stafford was swiftly acclaimed as the prospective first Editor-in-Chief and Bill tasked as prospective first Publications Manager for the BNG, and we set out to find a publisher. There were two schools within the BNG Committee, Joe Herbert thought that we should go it alone and be independent of Societies, I thought we should be wary of being seen to set up in competition with Society journals and should try to proceed in partnership. The obvious potential partner was SfE. Although the SfE were initially politely encouraging, negotiations did not run smooth. At a joint meeting of the BNG Steering Committee with a delegation of the SfE Committee, we had reckless ambition and enthusiasm, they had gravitas and money. Negotiations broke down on one sticking point – they insisted that the editorial board should be all British, we insisted that it be fully international. Joe was massively relieved at the outcome and felt vindicated – the SfE had reinforced all his prejudices about Society involvement. However, Richard Dyer (who was a member of the Committee of SfE at that time but not part of the delegation) later told me that at the subsequent full Committee meeting of the SfE, while the Chairman had expressed relief that the SfE had escaped from a potential embarrassment, others expressed the view that the SfE had missed a great opportunity. Indeed they had. Of course we had an alternative in hand when negotiations with SfE collapsed; John and Stafford had engaged the interest of Oxford University Press, and in March 1998 we signed a contract with them. Thus in January 1989 – after what still seems to me an astonishingly short time – the first issue of the Journal appeared. Stafford invested a huge amount of energy in this, and was immensely proud of the iconic cover design. The Journal exuded quality and confidence – it was printed on thick glossy paper to a very high standard, and had a stellar editorial board. For the BNG, it gave us then a small but guaranteed income, and in exchange subscriptions to the journal, at a reduced rate (initially £15/member), were an obligatory part of membership. It was the commitment of the whole membership of the BNG to support the Journal that ensured the publishing contract, enabled it to survive the first hard years, and ultimately ensured its success. The BNG did this alone; we had tried to engage the French Society for Experimental Neuroendocrinology as a partner. However, after an initially positive response they fell silent: it seemed that their membership was not willing to agree to compulsory subscriptions for their members. 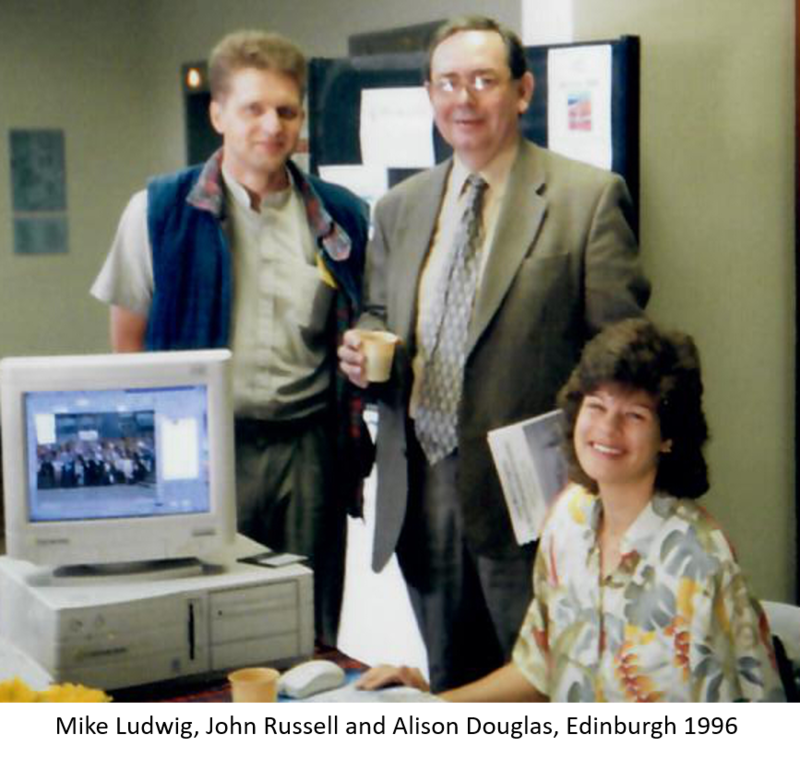 Nevertheless we felt it important to reach out to the French, and in 1988 we supported a joint meeting in Rennes. The accounts for the BNG of that year display the hire of a minibus that carried some of us there. With the launch of the Journal and formal establishment of the BNG, I stepped away from the Steering Committee in 1989, being replaced by Colin Ingram. In 1992 I became Press Secretary of the Journal of Physiology – and (in the view of some) set about destroying it, by changing it at breakneck speed from monthly publication as a hard backed volume to fortnightly publication in a soft cover – with a cover designed by a friend. We also moved production from Cambridge University Press to desktop production by staff recruited by the Society, using publishing software developed by those staff. That intensive immersion in the minutia of publishing - the new format appeared in January 1994 – including an understanding of costs and delays was to serve me well when I returned to the BNG harness in 1996 as Stafford’s successor as Editor in Chief of the Journal of Neuroendocrinology. Stafford had established the reputation of the Journal as a high quality production with exemplary editorial standards. But it was losing money, and had only just progressed from the original 6 issues per year to 9 per year. We had moved to Blackwells as publisher, but postage costs and production costs were killing us, while Neuroendocrinology had woken up to the competition and moved its office to France. I felt we had to go monthly, but to do so had to lose weight and cut costs. I reduced the paper thickness as much as I felt we could, and ran the editorial office on a shoestring, taking advantage of the Institutional goodwill that accompanied my own move from Babraham to Edinburgh. We needed to attract more authors, and the cover, beautiful though it was, had to go to allow us to feature authors’ work – the new cover design was a shameless steal from the design for The Journal of Physiology. John Russell as my deputy and I put our energies into fostering author loyalty - by giving extensive editorial attention to accepted papers, trying to enhance their style, clarity and appeal– and occasionally completely rewriting papers from non-English speaking authors. Slowly the effort paid off – authors noticed it, and the word spread, submissions rose, and the income and subscriptions increased as the number of papers increased. By the end of my time as Editor the journal was not only making a profit but had written off our whole accumulated debt to the publishers. That caught Blackwells by surprise – our contract included a clause that once we had written off the debt, all subsequent profits should accrue to the BNG, and the contract was now up for renewal; we could, if we chose take the Journal to any other publisher unencumbered by debt. We chose not to – Blackwell had been a great partner, had stuck with us through tough times and had engaged fully with our plans and ambitions. The new profit sharing contract with Blackwells that was struck by John Morris as publications manager gave Blackwell a strong incentive to further develop the Journal in a way that was to prove immensely successful, led by my successors, Julia Buckingham, then Dave Grattan, and now Julian Mercer. The BNG survived and thrived not least through the committed and dedicated efforts of Committee members – John Morris and John Russell in particular held the Society together in the early years, amongst many others – including Mick Harbuz, Alison Douglas and Colin Ingram, whose early deaths were times of deep sadness felt throughout the membership. An early sad loss was of Mortyn Jones – he had been one of the first to sign up to join the BNG, and he had brought with him a wide circle of friends and colleagues. After his early death, those many friends subscribed to a Memorial Fund which supported the Mortyn Jones Medal Lecture that is an annual feature of BNG meetings, regarded as our premier honour. The character of Neuroendocrinology has of course changed over the years that the BNG, now the BSN, has existed. But the ethos and spirit is not so different: we are a community that is inherently diverse yet interdependent: the study of metabolism is inseparable from that of stress, growth, reproduction and homeostasis, and is not readily compartmented between physiology, behaviour, anatomy, biochemistry, genetics, development and pharmacology. Meetings of the BSN have been the one fixed point in my calendar, I think I have missed just one in twenty-two years, and that only for an unavoidable clash. They have been the happiest of meetings, a time to meet old friends, make new friends, and see young scientists grow in confidence and maturity.